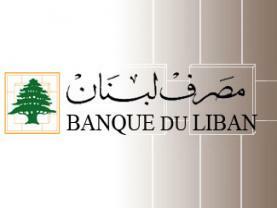 If you read my first blog post in this regard, you would know that Banque du Liban had plans to roll out the new 50,000 LBP bill (which contains a huge language mistake) on November 22, thus commemorating the 70th Independence Day. I had high hopes for Governor Riad Salame to do something about it. Alas, his comment was so shocking and unexpected: They didn’t realize there was a mistake (how could you not realize that?) and they are sticking to their original plan! I am in complete shock. What can I say? The governor’s reaction leaves me speechless. How awesome and professional would it have been if you had taken the right decision and postponed the issuance of this new design until the mistake was corrected? So what if we keep using the old banknote even after November 22? It’s not the end of the world. It’s not our last Independence Day. In fact, true independence lies within us, not in some banknote. Now you will have to live with the consequences of your wrong decision for the rest of your life, and we will have to put up with the idea of a grammatically incorrect banknote for years and years to come.